Pacific Bay Recovery in San Diego specializes in offering compassionate, customized treatment and rehabilitation for individuals struggling from behavioral and substance abuse disorders (alcohol, illicit or prescription drugs). A surprising number and variety of physical problems and diseases can be caused by the problem of foods that are acid-producing after digestion. Today the vast majority of the populace in industrialized nations suffers from problems caused by the stress of acidosis, because both modern lifestyle and diet promote acidification of the body's internal environment. Many foods are alkaline-producing or neutral by nature, but manufactured processed foods are mostly acid-producing and these are the ones most heavily advertised in the media, and filling the shelves of supermarkets. The whole issue is denigrated as pseudo-science by many in the medical establishment - for more information, download and read this excerpt from Naturally Good Magazine, The Relationship between Body PH and Disease - or download this more formal scientific paper about the role of alkaline/acidic balance in chronic disease and detoxification. Whatever, the experience of my own family and friends clearly demonstrates eating a diet that correctly balances acid- and alkaline-producing foods is beneficial to health. It is important to consume at least 60% alkaline-producing foods in our diet, in order to maintain health. We need plenty of fresh fruits and particularly vegetables (alkaline-producing) to balance our necessary protein intake (acid-producing). And we need to avoid processed, sugary or simple-carbohydrate foods, not only because they are acid-producing but also because they raise blood sugar level too quickly - with high glycemic index, therefore fattening and stressing our insulin response - plus they tend to be nutrient-lacking and may be toxic too. The body maintains correct pH in the blood at all costs, by homeostasis, but that is stressful for the body's systems and resources when the diet is unbalanced in terms of acid-forming foods (the residue after digestion, that is). Within cells it's a different story. Saliva and urine tests show clearly enough the changes in alkalinity or acidity that are caused by diet and lifestyle. Water is the most abundant compound in the human body, comprising 70% of the body. The body therefore contains a wide range of solutions, which may be more or less acid. pH (potential of Hydrogen) is a measure of the acidity or alkalinity of a solution - the ratio between positively charged ions (acid-forming) and negatively charged ions (alkaline-forming.) The pH of any solution is the measure of its hydrogen-ion concentration. The higher the pH reading, the more alkaline and oxygen rich the fluid is. The lower the pH reading, the more acidic and oxygen deprived the fluid is. The pH range is from 0 to 14, with 7.0 being neutral. Anything above 7.0 is alkaline, anything below 7.0 is considered acidic. Human blood pH should be slightly alkaline (7.35 - 7.45). Below or above this range means symptoms and disease. 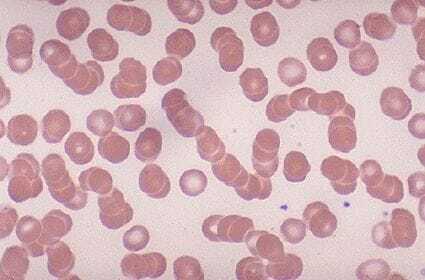 If blood pH moves below 6.8 or above 7.8, cells stop functioning and the body dies. The body therefore continually strives to balance pH. When this balance is compromised many problems can occur. An imbalanced diet high in acidic-producing foods such as animal protein, sugar, caffeine, and processed foods puts pressure on the body's regulating systems to maintain pH neutrality. The extra buffering required can deplete the body of alkaline minerals such as sodium, potassium, magnesium, and calcium, making the person prone to chronic and degenerative disease. Minerals are borrowed from vital organs and bones to buffer (neutralize) the acid and safely remove it from the body. Because of this strain, the body can suffer severe and prolonged damage--a condition that may go undetected for years. Low energy and chronic fatigue. Slow digestion and elimination. Inflammation of the corneas and eyelids. Loose and painful teeth. 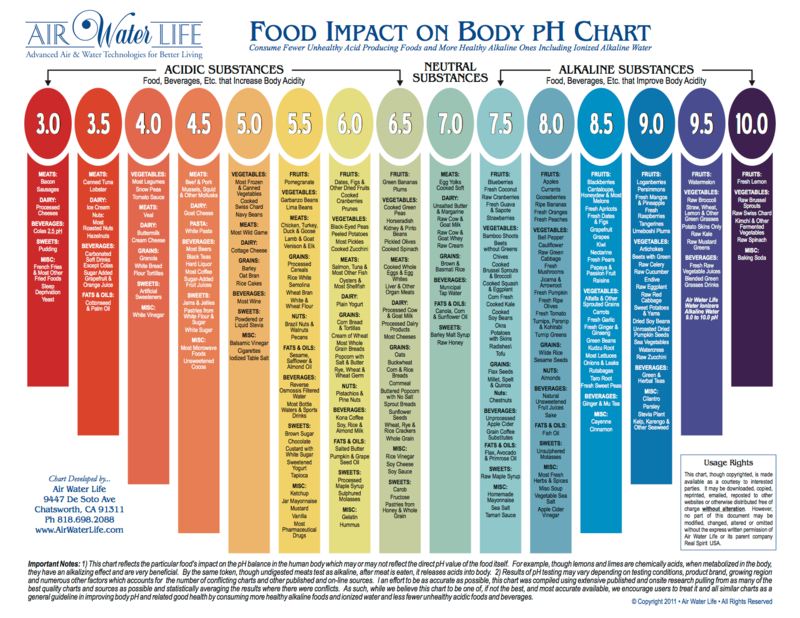 The pH level of the body has the ability to affect every single cell of the body. When the blood has an alkaline pH instead of an acidic pH, it will have a positive effect on how every bodily system functions. The brain, circulatory system, nerves, muscles, respiratory system, digestive system, and reproductive system can all benefit from a proper pH level. On the other hand, when the pH of the body is too acidic, it is susceptible to many diseases and problems. Weight gain, heart disease, premature aging, fatigue, nerve problems, allergies, muscle disease and cancer are all more prevalent when the body's pH is not optimal. Because these problems are all more likely to occur when the body's pH is too acid, it makes good sense to eat a diet rich in alkalizing foods. The primary goal is usually to eat approximately 75-80% alkaline foods along with only about 20-25% acidifying foods. If this level is maintained in the diet, the end result is a slightly alkaline pH in the body, which is perfect for optimum good health. 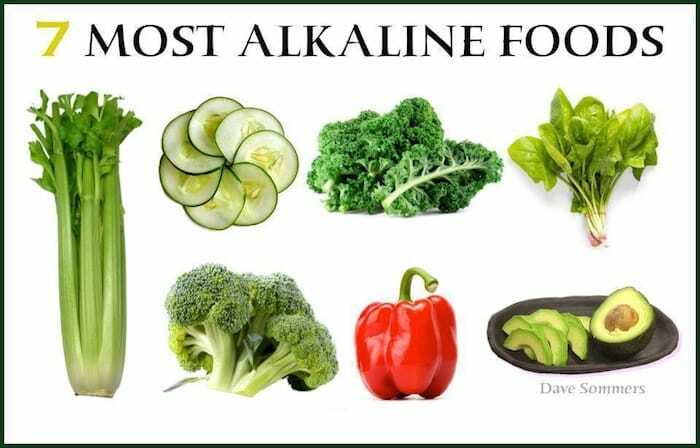 It's actually quite easy to eat a diet rich in alkaline-producing foods. Most fresh fruits and vegetables are excellent choices. Red meat is not a good choice, but you can add plenty of protein to your meals by using soy products, delicious beans, legumes, and nuts such as almonds. You should eliminate unhealthy fats from your diet, but you can use good fats such as olive, canola, and flax seed oil. High fat dairy products should be avoided, but you can drink soy milk and goat's milk. Cheeses made from soy milk and goat's milk would also be good choices. Replace the empty calories of soda with delicious iced herb tea, green tea and lemon water. Coffee should be avoided, but you can drink hot herbal or green tea. Replace pasta with healthy whole grains such as wild rice, millet and quinoa. When sweetening your foods, focus on natural products such as raw sugar, Stevia and maple sugar. As you can see, you'll have many nutritious choices that are both delicious and high in alkalizing properties. Note that a food's acid or alkaline-forming tendency in the body has nothing to do with the actual pH of the food itself. For example, lemons are very acidic, however the end-products they produce after digestion and assimilation are alkaline so lemons are alkaline-forming in the body. Likewise, meat will test alkaline before digestion but it leaves acidic residue in the body so, like nearly all animal products, meat is classified as acid-forming. Note: there are inconsistencies between the acid- or alkaline-forming values given in the lists provided by many websites, and few reliable references. Please don't take the above chart as any more than an approximate guide. Sites copy information (and errors) from each other and we're not scientific institutes, we go by personal experience and experience with clients, measuring with litmus paper, health results gathered over time, and such - not laboratory testing of isolated substances. Nevertheless, the principles are clear: eat plenty of vegetables, some fruit daily, and don't eat too much of dairy products, grain products, and direct protein from eggs, meat and fish (as is typically the case in Western diet). But remember... you don't have to cut out all acid-forming foods - some are necessary, typically 40% - otherwise you probably wouldn't get enough protein and variety of nutrients, yet alone make interesting meals that you enjoy. But you DO want to shift the overall balance of your diet over toward the alkaline, and away from the excessively acid-forming diet of a quick-food culture. Free range eggs, fish, beans, unsaturated oils - these are healthy foods, low glycemic and nutritious, and even if marginally acid-forming (or alkaline or between the two depending on how you measure or what chart you read). They are NOT the culprits in an acid-forming diet. The real culprits are highly sweetened foods, pastries, red meat, colas and highly processed foods - these are the ones to reduce to a sensible amount or cut out of your diet if they also contain stimulants and undesirable chemical additives. Similarly, be sure to include your share of the high alkaline-forming foods to balance those low-acid foods you eat for their overall nutritional value. And make alkaline choices, e.g. better to have brown rice than white rice, even though both are on the acid-forming side, because it moves you in the right pH direction - less acid - and also it is more healthy and nutritious in other respects. The Science: Why are acidic lemons alkaline-producing? The answer is simply that when we digest the food, it produces alkaline residue. That's why we classify it as an alkaline food. When we digest a food it is chemically oxidized ('burned') to form water, carbon dioxide and an inorganic compound. The alkaline or acidic nature of the inorganic compound formed determines whether the food is alkaline or acid-producing. If it contains more sodium, potassium or calcium, it's classed as an alkaline food. If it contains more sulphur, phosphate or chloride, it's classed as an acid food. In order for the body to remain healthy and alive, your body keeps a delicate and precise balance of blood pH at 7.365, which is slightly alkaline. The body does whatever it has to in order to maintain this balance. The problem is that most people have incredibly acid lifestyles. Acid is produced in your body whenever you have stress, upset emotions and when the food you eat is acid-forming. The typical diet is significantly acidic. So what happens to your body when you're over-acid? Your body will store excess acid in your fat cells (which is why so many people have such trouble losing weight). Over time, your body will leach calcium and alkaline stores from your bones in a desperate attempt to retain the pH balance in your body (which is why some people "shrink" as they get older). 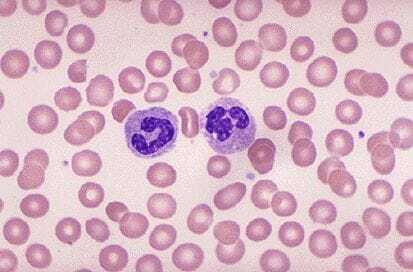 Do you see how far apart the blood cells are from each other? As a result, your blood can move freely throughout your entire body, and get into all your small capillaries, so you feel like your whole body is getting energy. During deep sleep, proper blood flow and hydration is important. When your blood looks like this, your sleep is also really energizing and you need less of it! 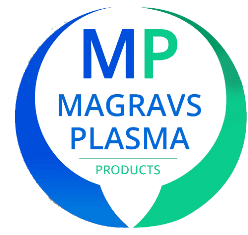 When your blood is clumped together, it no longer can get to all the little capillaries in your body to give you the life giving oxygen you need. It no longer can give ever cell of your body the energizing and rejuvenating effects. This is the major reason why some people feel horrible when they wake up, and why they need to sleep longer. It's also why you tend to wake up feeling de-hydrated. Here's a good example: Pretend you had a goldfish in a bowl, and one day you saw the goldfish was beginning to look very unhealthy. You also notice that the water is a little dirty. What makes more sense? To take the fish out and try to fix it? Or change its water? Chances are it's the water that's making the fish unhealthy, not the fish itself. When you change the water, the fish will get healthier. The fact that the goldfish is unhealthy is actually a SYMPTOM of the unhealthy environment. Not the problem. Fact: Our bodies are more than 70% Water! And most of the time because of our diets, emotions and lifestyles, the "water" in our body is over-acidic, and to put it simply: toxic. Yet, even knowing this, modern day establishment medicine puts much more attention on fighting the symptoms, and not recognizing the root of the problem. There are a few other things, in addition to diet, that can be done to help correct an over acidic balance. These include taking enzyme supplements, organic calcium and magnesium supplements, colloidal minerals, vitamin A and D, and drinking alkaline vegetable juices (carrot, celery and beet) and lemon/maple syrup drink. We can remedy our over-acidic bodies in the short term with alkalizing supplements, but going forward, we must also choose a diet which is balanced on the side of alkaline-forming foods. Fortunately most of these are also low glycemic, which takes care of the second primary factor in our creating a healthy diet. Ensure adequate Omega 3 with oily fish in our diet, which is another primary factor, and we can be sure to live long and healthy lives. An unexpected benefit is that good pH balance from an alkaline diet can help reduce hair loss, because the hormone that causes male and female pattern baldness is reduced in the scalp in alkaline conditions. Learn more in these comprehensive guides: HairlossRevolution.com and Guide to Men's Hairloss. If you do go bald and it's too late to do anything about it, you may need a loan to pay for a holiday or other cheering bonus. Find the cheapest lender likely to say yes to you now! "You are what you eat" but taking full responsibility for food and healthy eating in your life can be quite a challenge. Especially nowadays, in the modern world, we are all surrounded by temptations to consume too much, and too much of the wrong thing. And not only temptation - a whole industry is devoted to persuading us to indulge ourselves to excess. Aromatherapy uses pure essential oils to relax, balance and rejuvenate body, mind and spirit. This article provides valuable tips and pointers, along with a Glossary of aromatherapy, and links to our recommended supplier of oils, herbs and supplements.